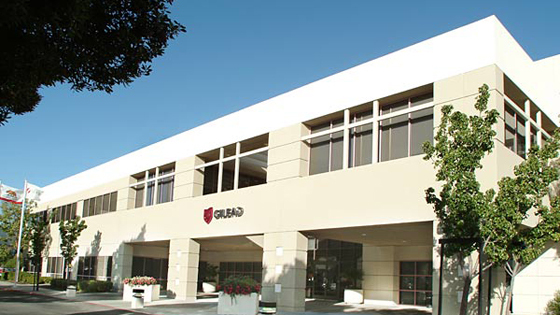 Following its success in curing hepatitis C with therapies such as Sovaldi and Harvoni, Gilead is now enlisting a new partner in the fight against hepatitis B (HBV). Inking a collaboration deal that would be worth half a billion dollars with genome editing specialists Precision Biosciences, Gilead is aiming to develop a cure for HBV, which is proving more difficult to eliminate than hep C.
Current HBV therapies, including Gilead’s own Hepsera, Viread and Vemlidy, focuses on inhibiting viral DNA replication but don't completely clear the virus. People living with hepatitis B are often on treatments for life, as the presence of covalently closed circular DNA (cccDNA) enables HBV replication if treatment is stopped. This collaboration however, will target the in vivo elimination of the virus and will use Precision BioSciences’ genome editing platform ARCUS to further develop this goal. Precision’s chief scientific officer, Derek Jantz commented: "Gilead's cure-based approach to hepatitis B is comprehensive and exciting. Precision is pleased that initial studies with our ARCUS platform have established an important role for genome editing in their HBV program. “This is an excellent application for our technology, which has made notable progress toward therapeutic in vivo editing in relevant models over the last year." The ARCUS platform is based on a natural genome-editing enzyme homing endonucleases, which identifies long DNA sequences. These enzymes can modify the genome with a new DNA sequence. Precisions’ technology however comes from the ARC nuclease, a synthetic enzyme similar to the homing endonuclease. The advantage is that the synthetic enzyme can be customised to recognise a DNA sequence within any target gene. Gilead's newly appointed R&D Head and chief scientific officer John McHutchison has said the technology has some exciting potential, demonstrating promising in vitro activity. He said: “Gilead is committed to developing innovative therapies to achieve functional cure for patients with chronic hepatitis B virus infection. Precision Bioscience is eligible to receive milestone payments of up to $445m, along with royalties that go up to the mid-teens on sales and commercial products developed through the collaboration. Gilead needs to find new drugs to replace the revenue lost from its hepatitis C franchise, which proved to be an enormous blockbuster success for a few years, but is now in steep decline. The company had some good news from the field of rheumatoid arthritis earlier this week, but is still looking for a market-leading innovative drug.